In this exciting series at medvis.org we interview fascinating people working in the medical visualization field. We had the pleasure of interviewing Roy van Pelt, who talked to us about his academic career and current activities in industry. Roy was born on September 22, 1982. He grew up in Tilburg – the Netherlands. After he received his secondary education in 2000, he began to study Information Technology at Fontys University of Applied Sciences in Eindhoven. 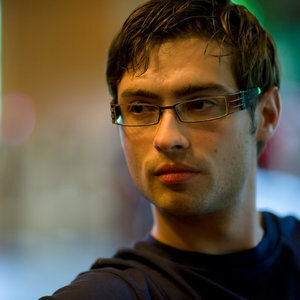 Having finished his bachelor’s degree, he studied Computer Science and Engineering, specializing on Embedded Systems, at Eindhoven University of Technology (TU/e). He received his master’s degree in 2007. 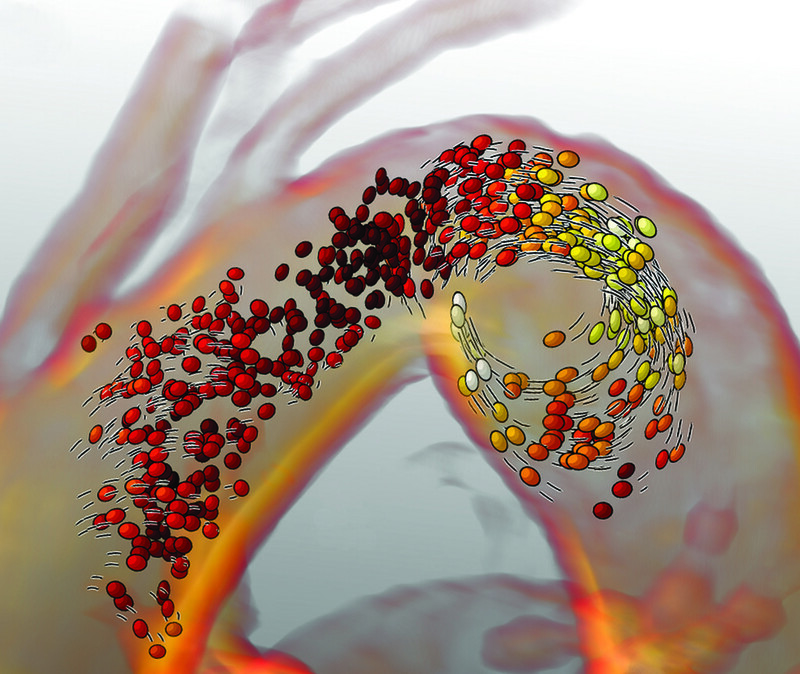 Also at TU/e, he became a PhD student in the field of medical visualization and real-time interaction techniques focusing on analysis and exploration of volumetric blood flow. During and after his PhD he visited several research groups in Vienna – Austria, London – United Kingdom, Magdeburg – Germany, and Thuwal – Saudi-Arabia. He is best known for his cartoony particles to visualize blood flow. After his postdoc, he enrolled in the ‘young technical professional’ traineeship of Yacht and Philips Healthcare, currently working as a software designer for upcoming interventional X-ray applications. Hi Roy, thank you for your time and contributing to medvis.org with this interview. Thanks for having me; it’s an honor and a pleasure to have this interview for MedVis.org. Did you hear about medvis.org before and what do you think about it? Most certainly! I’ve been a subscriber since the early days. Even now that I’m no longer active in academic visualization research, I follow along all the latest updates and great conference reports. An excellent way to stay informed. But enough about us. Can you explain what else you did during your research as a PhD student? So you assume there is something else than research as a PhD student!? Haha, well fortunately there is. Of course all PhD students get some extra tasks within the group. I was for instance keeping track of the computers and was regularly updating our webpage. I also enjoyed helping with the organization of our yearly team weekend in the Ardennes: all memorable events with marvelous colleagues! What I enjoyed most besides the research was the supervision of students, and in particular the graduation projects. I particularly liked the one-on-one interaction with master students: such a great energy to team up and aim for the best results for their projects. Working with several students allowed me to devise a research plan, where all the project outcomes would fit together. It’s great to create such a win-win situation: the student graduated with outstanding results, and our ongoing research gained from the new insights. I have to ask this question: I can imagine you can tell us funny stories about your experiences as a tutor or supervisor. Could you share one? When tutoring groups of Bachelor students, you should not support them much on the content level: it is all about the group process and the joint results. So I typically had plenty of time to observe the group dynamics. The students get feedback based on the role they have for a meeting, for instance chairman or minutes secretary. I remember addressing a student, telling her she was steering the meeting too much, while she was not the chair for that particular meeting. I received fierce protest that I was wrong. About 10 minutes later she acted up, and one glance of the eye was sufficient to make her realize she was indeed taking the lead. It caused some blushing with shame, but the lesson was learned. Clearly a PhD is not just about the content; it’s also about people interaction. Of course there are many more stories of students I have worked with. For instance we had a student who was sleeping underneath his desk, an international student who thought the efficient Dutch never have time for chit-chat, a student who baked a special ‘cartoony flow pie’, and even a student who jokingly provided me with a phony ‘MSc teacher’ award (I’m proud of it anyway, haha). Your research was conducted in close collaboration with Philips Healthcare. It seems that collaboration with industry may be quite different in comparison to purely university-driven research. Can you explain the main differences and what it was like to work together with Philips? My project started off in a somewhat unusual manner. While normally the starting point is a project description, I started with a team of people to work with. It was a longstanding tradition that my research group would supervise a PhD student in collaboration with Philips Healthcare and Vienna University of Technology. Within this setting, we searched for a suitable topic in the area of medical visualization, which turned out to be related to magnetic resonance blood-flow measurements. The larger part of my time I was located at TU/e, working closely together with my co-promotor Anna Vilanova. This definitely provided the academic basis for my PhD project. At Philips, I had two supervisors who provided me with the industry perspective and clinical contacts. In the discussions, however, they often seized the opportunity to go beyond innovation in industry, which typically requires an explicit business case. Together we aimed for novel research ideas. At a later stage of my PhD, I also obtained support from my second promotor, who is principal scientist at Philips Healthcare, as well as a part-time professor at TU/e. Looking back, I think my research was mostly academic by nature. Besides the supervision, the collaboration with Philips made one essential difference though: we were dealing with real clinical needs. Therefore, we were devising solutions that have potential for future healthcare applications. By combining knowledge from theoretical research and industry experience, we could meet the needs in clinical research. During the PhD you visited a lot of conferences, which one impressed you most? It’s hard to select just one out of all the great conferences I could attend, but I think the first and largest conference I visited was the most impressive: SIGGRAPH in Los Angeles. We managed to get my first paper accepted at a co-located conference, allowing me to attend the pinnacle of computer graphics conferences as a rookie PhD student. The movie- and games industries are always widely represented at SIGGRAPH, which means you get insight into the latest computer graphics techniques in both hard- and software, as well as superb screenings of animated short movies. It’s huge, it’s overwhelming, and enthuses every bit of a graphics geek. During and after your PhD you visited different research groups. Can you tell us what you liked most in comparison to Eindhoven? The main focus of our research group in Eindhoven is image processing for medical applications. For a medical visualization researcher, this provides a great context to get to solid processing of the acquired imaging data. However, purely for the topic of visualization it was good to seek collaborations with other research groups. All the groups that I visited had a certain expertise that made the collaboration worthwhile. For instance the visualization group in Vienna is very creative and well-known for their outstanding and aesthetically pleasing visualizations. During the notorious social events many unlikely ideas were conceived. Many of these ideas were either a fun mental experiment, or just plain nonsense induced by the spirits of the evening. Yet I believe it is often in this set of seemingly crazy ideas that breakthroughs can be found. I also had the chance to work closely together with the research group in Magdeburg. Their focus is explicitly on medical visualization. Several members of the group were also working on MRI blood flow research, which led to a fun and rewarding collaboration. visualization department. One of their focus areas is the processing and rendering of large data sets using smart and fast out-of-core rendering techniques. Of course this is also very relevant in light of the multi-dimensional blood-flow data I was working with. What advice would you give your younger self that you wish you had known when you started to do your PhD and what advice would you give other PhD students? Now that is a tough question: a PhD project by nature is a bumpy ride, full of unknowns. That is also the challenge and the fun of your PhD time. The advice I would give is to start early with experimentation. Play around with OpenGL and various libraries, get yourself familiar with the tools and start creating. Have fun! The first year of a PhD is dedicated to literature research, getting you up to speed with the state-of-the-art in your line of research. I found that experimenting with the concepts in literature considerably strengthened my knowledge. These insights through experimentation then also steer your search for more related papers. What would you say was the most important reason to do a PhD? The master’s project was my first experience with medical visualization. I had the opportunity to create a real-time illustrative visualization tool, which resulted in our first publication. I thoroughly enjoyed the topic and had the feeling I had only scratched the surface of the intricate research field. During my master’s project I got in touch with the PhD students in our research group, and I learned that a PhD project is very diverse and challenging, involving contacts with fellow researchers all over the world. But in the end the main reason to pursue a PhD was my desire to learn so much more about visualization for medical applications, and the ambition to contribute new insights in this area. After finishing your PhD, you decided to work for Philips, why did you leave the academic world behind? I’m passionate about technological innovations for the healthcare domain, facilitating practitioners to improve people’s lives every day. You could say I’m an idealist, continuously striving for better solutions. Academia allowed me to think freely, out-of-the-box, envisioning what the future could bring for healthcare technology. I still enjoy these boundless brainstorms and philosophical discussions. However, the resulting ideas are often of a fundamental and theoretical nature, and their value potentially unfolds for clinical practice in maybe ten or twenty years from now. Instead, I wanted to work closer to the hospital, and learn about the day-to-day needs, and conceive solutions that make a difference on shorter term. What do you miss most from being a PostDoc? I would say it is the visualization community that I miss the most. Over the years I got to know so many inspiring people. It’s just great to be part of such a specialist community, which is at the same time creative and great fun. In addition, and it may seem inconceivable to some, I do miss the writing every now and then. Writing a scientific paper is a craft on its own, and I always enjoyed searching for the right way to get our message across. I can imagine that the collaboration with Philips was your entry ticket to work for them, is that true? Do you think you were hired if they do not know you before? Collaboration with a company during your PhD does not trivially lead to a job position, and also for me it was surely not a free entry ticket. Of course it is beneficial to have contacts within the company and that you have experience in the industrial setting. However, I ran through the full hiring procedure. There was even a hiring stop when I first applied, and afterward I had a series of interviews at various departments to find the right position. How did your daily life change from being a PostDoc at the university? On the whole, the change was not very drastic, although the working environment in industry is surely different from academia. Project planning is obviously stricter, especially when finalizing products for the customer. That involves pragmatic choices, without compromising on quality. I would say the working hours are a bit stricter, although my hours are still quite flexible. There is a bit more separation of work and personal life, although I still make the extra hours if there is something interesting to finish. Can you tell us what you do at Philips? I’m currently employed at Yacht, a staffing and recruitment company. Yacht and Philips Healthcare together offer a traineeship called the ‘Young Technical Professional’ program, for which Yacht offers a series of soft-skill trainings, including communication and management abilities. Philips provides the hard-skill trainings related to the running projects. The program allows me to see and learn about many aspects of the company in a timespan of three years, aiming for accelerated growth towards a lead position within Philips. At Philips I’m affiliated with the innovation department for interventional X-ray applications. The main challenge in this field is found in the real-time aspects, because imaging is performed live during the intervention, which means not much latency is allowed to keep effective hand-eye coordination. Furthermore, the X-ray modality is increasingly combined with other modalities, which poses interesting challenges to fuse the information in a meaningful way. Currently, I’m working in a study team that is looking to improve the workflow in the catheterization lab, improving communication between the physicians and nurses in the exam and control room. Of course I’m still diligently at work, doing all within my power to improve contemporary healthcare applications. In contrast to the work in academia, most ongoing work is confidential and a team effort. Therefore the specific output will be prototypes and products to be released. Of course, we also work on several invention disclosures, capturing new ideas we gather along the way. I certainly hope to be able to keep contributing to research. Since I started working in industry I have taken on a number of paper reviews, out of curiosity and to support the community. I’d like to think my visualization experience is not completely out-of-date, but I guess this type of review work will fade over time. Nonetheless, I hope to keep contributing to research based on my current innovation work. We are already looking into publication opportunities. This entry was posted in Interviews and tagged anna vilanova, blood-flow, eindhoven, Interview, philips, roy van pelt, tue, yacht by Kai Lawonn. Bookmark the permalink.